This model replaced model 1896. The OT-II microinjected model was developed by Dr. Francis Carbone of Monash Medical School and Dr. William R. Heath of the Walter and Eliza Hall Institute. The model was created by microinjecting the rearranged Valpha2 and Vbeta5 T cell receptor into B6 x B6.C-H2bm1 blastocysts. 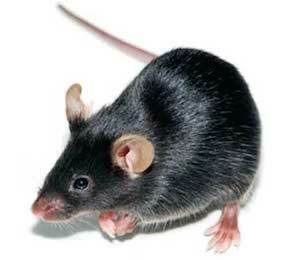 Taconic received stock from Keio University in June 2001, and the mice were rederived by backcrossing to C57BL/6NTac. OT-II transgenic mice were crossed with a homozygous C57BL/6NTac Rag2 targeted mutation model (RAGN12-M), and then intercrossed for homozygosity at the Rag2 allele. The model was rederived by embryo transfer and is maintained by mating of mice that are homozygous for Rag2 disruption and heterozygous for the OT-II transgene to mice that are homozygous for the Rag2 disruption and wild type for OT-II. Shinkai, Y, Rathbun, G, Lam, KP, Oltz, EM, Stewart, V, Mendelsohn, M, Charron, J, Datta, M, Young, F, Stall, AM, and Alt, FW. (1992) RAG-2-Deficient Mice Lack Mature Lymphocytes Owing to Inability to Initiate V(D)J Rearrangement, Cell, 68: 855-867. Barnden MJ, Allison J, Heath WR, Carbone FR. (1998) Defective TCR expression in transgenic mice constructed using cDNA-based α- and Β-chain genes under the control of heterologous regulatory elements. Immunol Cell Biol 76:34-40. RAG-2-deficient mice lack mature lymphocytes owing to inability to initiate V(D)J rearrangement. Defective TCR expression in transgenic mice constructed using cDNA-based alpha- and beta-chain genes under the control of heterologous regulatory elements.